CAYA's Order of the Black Madonna elevated three members to Sisterhood and welcomed two new Novice sisters this past weekend in a private ceremony. The Order accepts prayer requests at their website, and prays for all petitions at each Dark Moon. Visit www.orderblackmadonna.com for more details. CAYA's Rose & Dove Society Priestesses hosted a beautiful Temple of Aphrodite ritual this past weekend, featuring newly-ordained Priestess Quetzal. 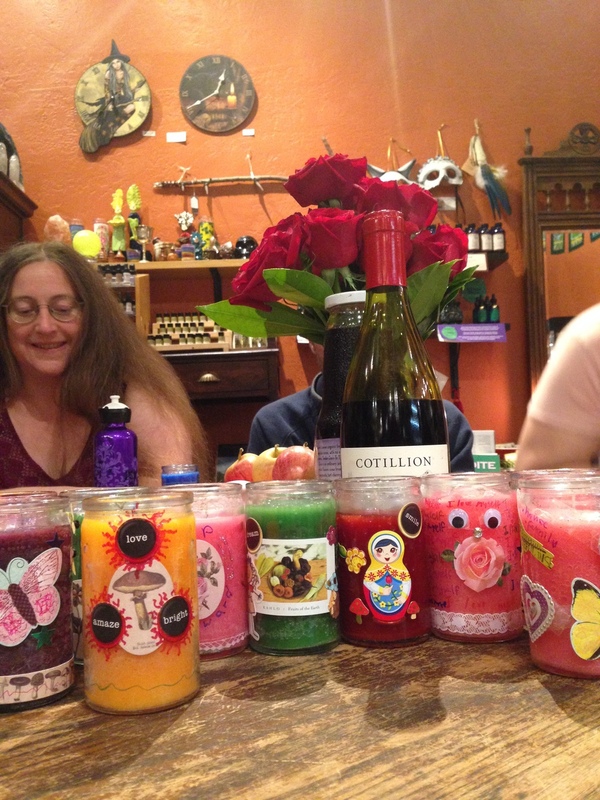 We decorated candles and listened to beautiful songs and guitar accompaniment.